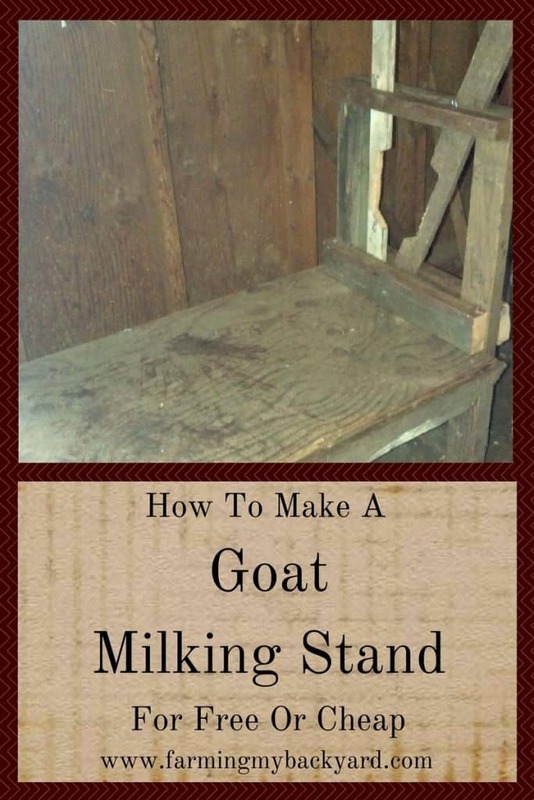 Way, way, way back I started a DIY milking stand for the goats. I managed to get the base of it done in just three weeks, but then I never quite got the head piece started, let alone finished. (Anyone else have a ton of projects that are almost done, or is that just me?) I picked away at it for another few weeks and finally declared it finished! I’m still very proud of the fact that it’s completely built with foraged lumber. 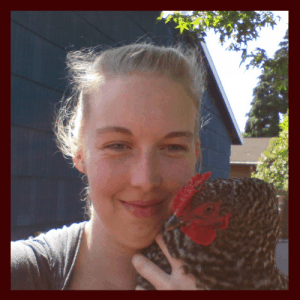 Related Post: Urban Permaculture Zone 4: Harvesting The Urban Landscape. Don’t be scared away by the ugliness of my milking stand. I have zero building ability and I’m sure if you have a scrap of talent for building things you can make something MUCH more attractive. If you are interested in building your own milk stand come up with a blueprint. I used the plans at Fias Co Farm’s site and found them very clear and easy to follow. My husband also drew up this sketch for me to work from. 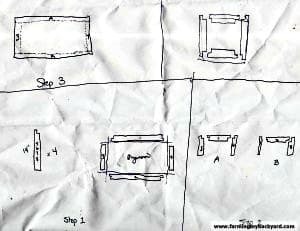 If you have scrap wood you want to use up, make your sketches using the measurements of the wood pieces you already have. Finally, put it all together! AnUrban Permaculture Zone 4: Harvesting The Urban Landscapeis a beautiful thing. Don’t try to make this with a handheld screwdriver. (Just saying…not that I tried or anything….yeah….) Predrill your holes, use screws that are big enough, and if you’re really never built anything before (like me), ask a friend to help out. Have you made your own milking stand? Congratulations on your milk stand. Great job!